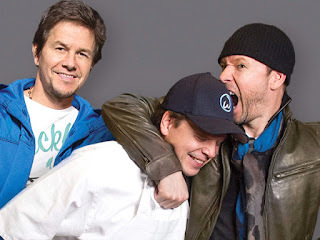 Wahlburgers, the burger chain started by brothers Donnie, Mark and chef Paul Wahlberg is expanding in a big way. A representative for the Massachusetts-based burger eatery confirmed to PEOPLE that the chain will add 100 to 150 more restaurants over the next five years. The company—which currently has five locations in Massachusetts, New York and Toronto—has plans to open restaurants in Las Vegas, Philadelphia, Orlando, Manhattan and Washington D.C. in the near future. And according to Business Insider, they intend on expanding to 300 locations overseas. The success of Wahlburgers is largely due to the Emmy-nominated reality show based on the restaurant, says CEO Rick Vanzura. But of course that also means chef Paul’s food—like their signature burger with “wahl sauce”—has to be up to par to compete with chains like Shake Shack and Five Guys. Pre-Order Danny Wood's new album "Look At Me"